Get out among nature and go glamping with your own pit-fire, locally made cheese and crackers and warmed mulled wine to wash it down with. 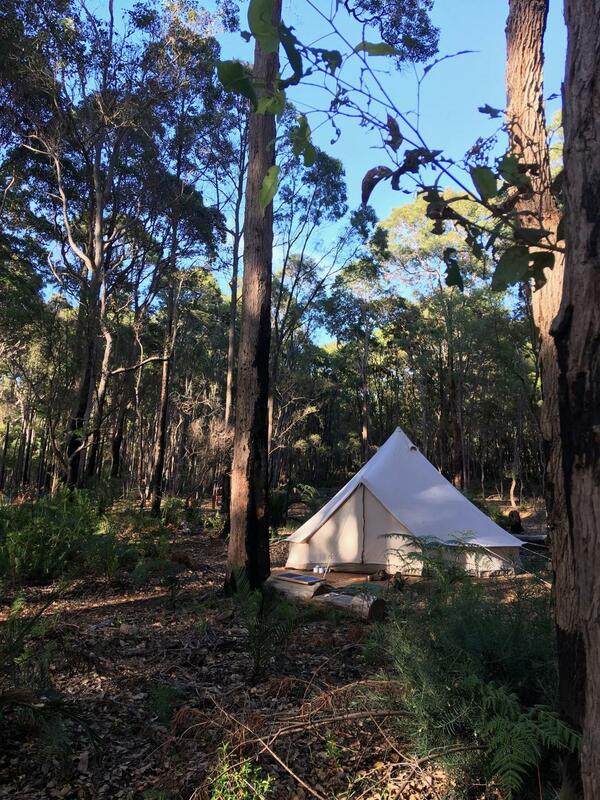 Experience the true nature of the Margaret River region. Our tents are carefully furnished with rugs, comfy mattresses, bed linen, towels, scatter cushions and blankets. We provide lighting and bedside tables too. 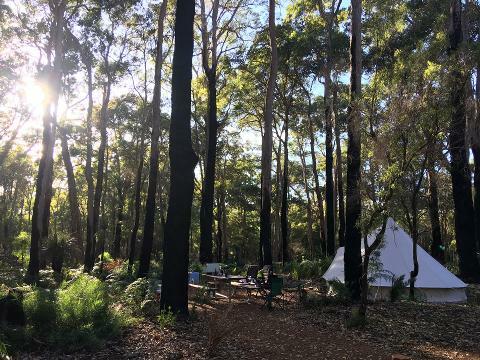 And you can snuggle around your own campfire using our outdoor furniture, relaxing under the karri and peppi trees enjoying breakfast or supper with your own private concierge making sure your fire is a-glow. All this pitched for you under the trees at the stunning Jarradene Campsite. 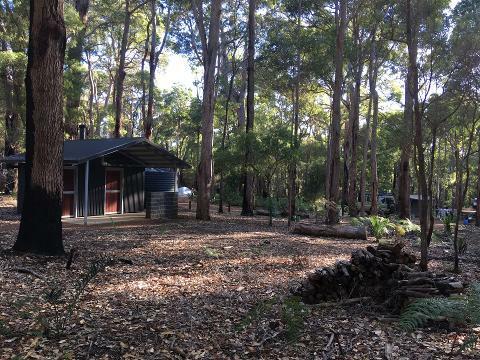 Being in the National Park close to Borranup Forrest this is truly an amazing location. Why not get on your very own adventure before winter really sets in. *Please note this is a brand new National Park Campground with individual site campfires, communal BBQs and drop toilets (no showers). Booking more than one tent for friends? See below and click 'tents required'.